What is the Forza Motorsport 7 game? Forza Motorsport 7 is a racing video game developed by Turn 10 Studios and published by Microsoft Studios, serving as the tenth installment in the Forza series. It was released on Microsoft Windows and Xbox One on October 3, 2017, with early access to those who have pre-ordered the game's Ultimate and Deluxe editions. Similar with other Forza series games but different in car types and track locations, FM7 has its own uniqueness and advancements than other car racing video games. Features more than 700 cars and hundreds of tracks in different landscapes, and many different brand cars can be selected, such as bugatti, lamborghini, volkswagen, lexus, ferrari, porsche 917 and 911, and ford, gamers will find infinite joy inside FM7. Why most of players buy Forza Motorsport 7 Credits from Joymmo.com? Forza Motorsport 7 can be run on XBox One, and PC (Microsoft Windows) platforms, the gameplay is FM7 digital game with so many drag races, gamestop, NASCAR, and cars, so game players need a lot of Forza Motorsport 7 Credits (game currency) to level up in the racing game. 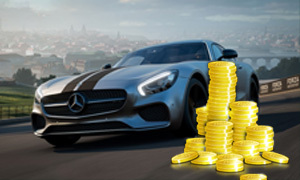 Best FM7 Credits specialty dealer with fast and safe delivery from Joymmo.com to keep you enjoy the game.